Hey all! Hope everyone had a great Easter! 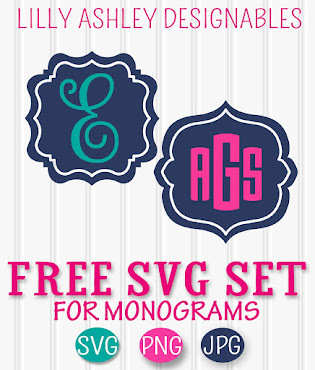 We're enjoying Spring Break right now, and we've got a new freebie paper pack to share today! 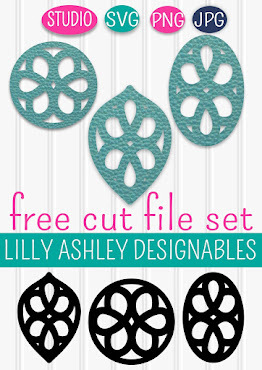 Each paper is the same aqua shade, but each one has a different accent color shaping the quatrefoil patterns. These downloadable papers are 12x12 in size, JPG format (300 dpi resolution). The pack has 8 papers total! Grab all 8 or just the ones you need! No fancy design program? No problem! Try PicMonkey, a website that allows many features (cropping, adding text, and more) for free! 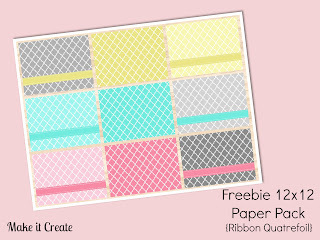 If you missed some of our other recent freebie packs (such as ribbon quatrefoil or textured polka dot!) click any of the below images! 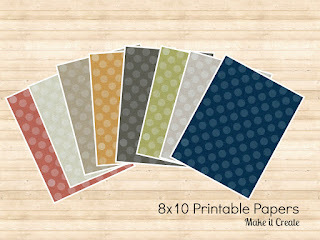 Use these papers for anything you need! The only thing we ask is that they aren't sold in original form. That's it! 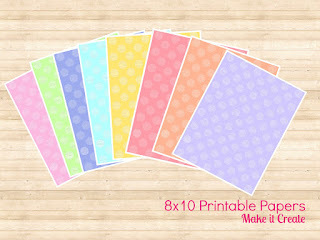 Also check out our printables page, full of free finished printables and printable paper to make your own printables!